Take on this singletrack lap-based marathon on a giant circuit at Stromlo Forest Park – you pick your distance! One cheeky lap, two to catch the racing bug or three for a classic marathon… 5am start and sunrise lap for the 100-miler anyone? The sweeping climbs, rocky descents and flowying trails at Stromlo, however, also mean that it gets you into a rythm that makes it one of the most fun and rewarding races you'll ever do. 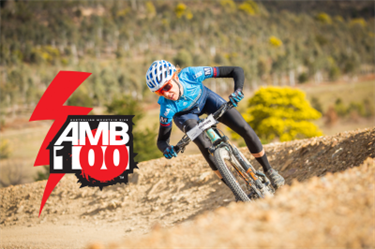 Supported by the Australian Mountain Bike Magazine, it features the longest racing circuit possible at the popular MTB park and for the classic marathon challenge participants will have to complete three laps of the ~30km race course, which links together almost all of the trail sections at Stromlo. A mass race start at 8am will also offer a pairs category and one and two lap options. By then the growing number of marathon addicts will have completed almost a third of their race - the five-lap AMB 100 Miler kicks off at 5am with views of a glorious sunrise over the Capital.